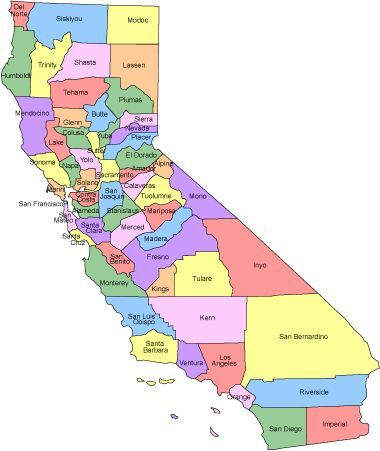 California is the 3rd largest state of the United states covering an area of 163,707 square miles. Its capital city is Sacramento and its largest city is Los Angeles. California has 58 Counties and San Bernardino county being the largest one.